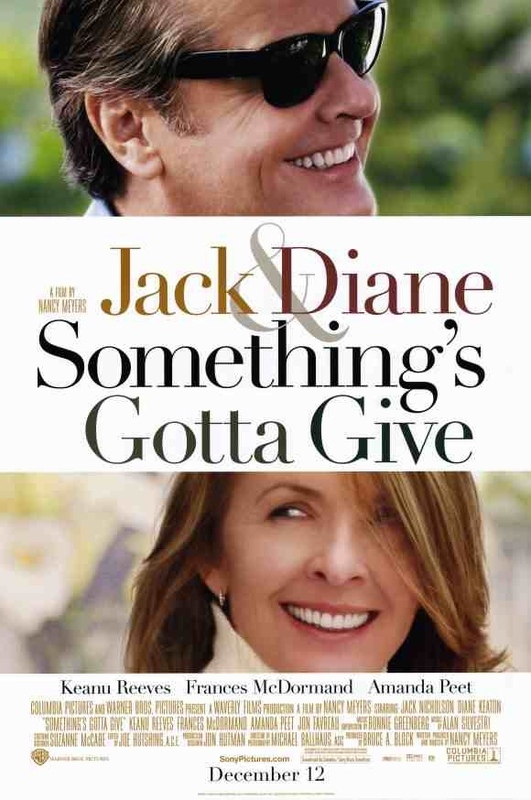 Starring: Jack Nicholson, Diane Keaton, Keanu Reeves, Frances McDormand, Amanda Peet, Jon Favreau, Paul Michael Glaser, Rachel Ticotin, Patrick Fischler, Kevin Watson. Director Nancy Meyers is no stranger to romantic comedies. In fact, it’s her forte and your never left in any doubt as to what a film of hers will consist of. This is no different, but does have the added bonus of a more than watchable cast. Record label boss Harry Sanborn (Jack Nicholson) only dates women who are half his age. But when he suffers a heart attack at the home of his girlfriend’s mother, playwright Erica Barry (Diane Keaton), he’s surprised to find himself falling for this intelligent, mature woman – even though she’s being courted by Harry’s young doctor (Keanu Reeves). I’m not a fan of the rom-com genre but when it’s a selection of appealing actors delivering delightful performances, it’s hard to say no. It’s great to see Nicholson and Keaton sparring again, 22 years after their last collaboration in “Reds” in 1981 and how often do you get a film that has veterans such as these two great actors sharing screen time with the successful names of today, like Keanu Reeves and Frances McDormand? It doesn’t pretend to be anything other than an enjoyable romantic tale and for that reason you can sit back and know exactly what your in for, with the always reliable actors adding to the predictable comfort of it all. Lighthearted love fluff, that works well for what it is and maintains a level of entertainment throughout, thanks to it’s star wattage. This entry was posted on January 10, 2012 at 3:14 pm and is filed under Comedy, Romance with tags 2003. You can follow any responses to this entry through the RSS 2.0 feed. You can leave a response, or trackback from your own site. I’m not the biggest fan of rom coms but your great review and the presence of the actors make me curious to watch it. This isn’t all bad, Vinnie. As for as these types of films go, it’s actually passable. The actors make it work. Good to know that talented actors can make something that I wouldn’t normally watch good. Well, they seem to do that here. The material is pretty pish but the actors are good. 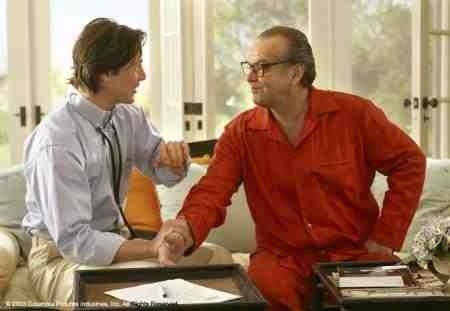 Jack Nicholson is always a reliable actor. I like to think of The Departed as a great signing off movie for him. That was definitely his last great film. I really want to watch it again now. It wasn’t that long ago that I watched it. It’s still a beauty and Nicholson is outstanding, as always. I’m glad to hear that. I’m gonna watch it in the future and review it, would love to hear your thoughts on it when I do. Certainly! I’ll keep me eyes open! And I have a page where people can leave suggestions about what movies I should see or content I should feature. Feel free to drop your thoughts there. Aah! That’s quite a good idea, man. I’ll stop by! Thanks Mark, looking forward to your suggestions.